Abby the Librarian: Nonfiction Monday! Woohoo! It's that time again: I'm so pleased to host Nonfiction Monday this week! I'm really excited to see what everyone's been reading and reviewing, so please leave a link in comments and I will update our roundup throughout the day. Tomorrow, I will be presenting with my librarian partner in crime Kate Conklin at the Indiana Library Federation Conference about teen nonfiction. We'll be talking about how to develop a great teen nonfiction collection and how to put it to use by promoting it and using it in readers' advisory. You can find handouts from our session here: Resources for Evaluating and Selecting Teen Nonfiction and the printable list of books we'll be booktalking from. If you're attending the conference, I hope you'll stop by our session! You can find us Tuesday at 11am in Room 206. Now, what nonfiction has everyone been reading around the interwebs? Leave a link in the comments! 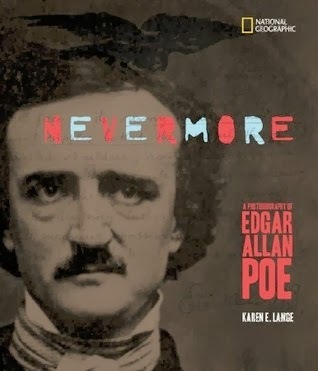 Myra of Gathering Books shares a review of Nevermore: A Photobiography of Edgar Allen Poe by Karen E. Lang. She says, "This book provides a perfect overview for young readers who would like to know more about the Master of Macabre and his tortured life." 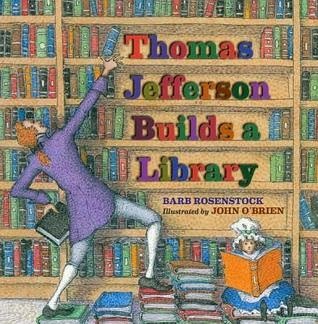 Sue of Sally's Bookshelf is writing about Thomas Jefferson Builds a Library by Barb Rosenstock, illustrated by John O'Brien. She says, "From the title page illustration (TJ constructing a library using books) to the end notes, this book is chock-full of fun information." 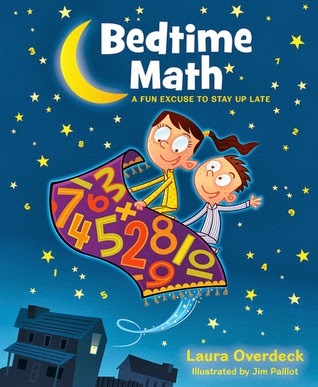 Over at Archimedes Notebook, Sue speaks with the author of Bedtime Math: A Fun Excuse to Stay Up Late by Laura Overdeck, illustrated by Jim Paillot. 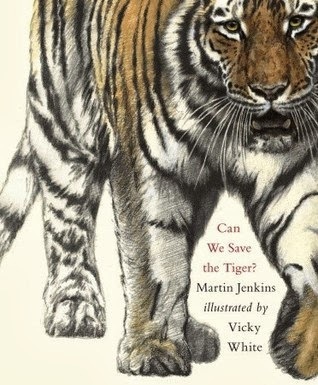 Loree of A Life in Books examines Can We Save the Tiger? by Martin Jenkins and Vicky White. 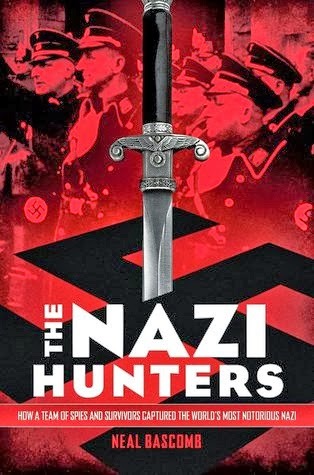 Jennifer of Jean Little Library reviews The Nazi Hunters by Neal Bascomb. She says, "...this is an historical account that will definitely grab the attention of kids who are aficionados of World War II." 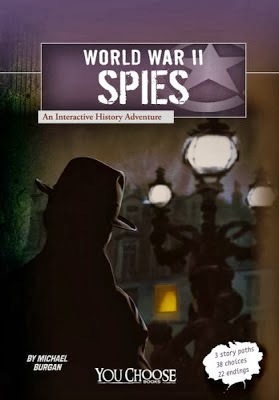 Alex of The Children's War reviews World War II Spies: An Interactive History Adventure by Michael Burgan. She says, "Like the other interactive history books, World War II Spies, will have lots of appeal to any reader interested in the war." 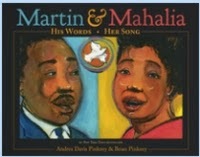 Jeanne of True Tales & A Cherry On Top features Martin & Mahalia: His Words, Her Song by Andrea Davis Pinkney, illustrated by Brian Pinkney. 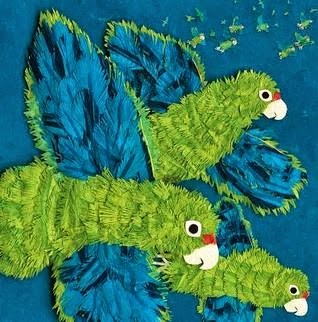 Roberta of Wrapped in Foil reviews Parrots Over Puerto Rico by Susan L. Roth and Cindy Trumbore. She says, "Parrots Over Puerto Rico is one of those books that you need to have on hand because it can be used in so many ways." Tammy of Apples with Many Seeds reviews 13 Art Illusions Children Should Know by Silke Vry. She says the book "takes us on an historical journey that explores and explains how the use of light, shadow and colour by artists can trick us into thinking that we are seeing something that is not really ‘real’ or ‘true’." 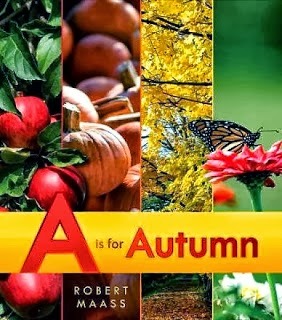 Janet Squires of All About Books features A is for Autumn by Robert Maas. She says, "Overall... the book is a visual pleasure and offers many opportunities for conversations about the season." Anastasia of Booktalking features The How-To Handbook: Shortcuts and Solutions for the Problems of Everyday Life by Martin Oliver and Alexandra Johnson. Sondy of Sonderbooks reviews The Tapir Scientists by Sy Montgomery and Nic Bishop. She says, "This series shows that the life of a scientist can be adventurous and exciting."